Forecasters say there will be eight to 13 tropical storms, three to six of which will become hurricanes. The National Oceanic and Atmospheric Administration predicted a near to below-average 2014 Atlantic hurricane season Thursday. Forecasters predict eight to 13 tropical storms, three to six of which will become hurricanes. One to two of those hurricanes could grow in strength and become Category 3 or higher storms, according to NOAA. The seasonal numbers for 2014 are expected to be lower than average, but forecasters say even below-average seasons can produce hurricanes. Hurricane preparedness plans are key for making it through the season. There is a 50 percent chance there will be a below-normal season, a 40 percent chance there will be a near-normal season, and only a 10 percent chance there will be an above-normal season, according to NOAA. Forecasters said the possibly average or below-average season would be caused by the anticipated development of El Niño in late summer or early fall. El Niño would causes stronger wind shear, which suppresses hurricane activity. The six-month hurricane season begins June 1. The 2013 hurricane season was unusually quiet, with 13 named storms, only two of which became hurricanes - Ingrid and Humberto. It was the fewest number of hurricanes in a season since 1982 and was the sixth least active hurricane season since 1950 in terms of collective strength and duration of named storms and hurricanes, according to the Florida Division of Emergency Management. Only two storms impacted Florida in 2013. 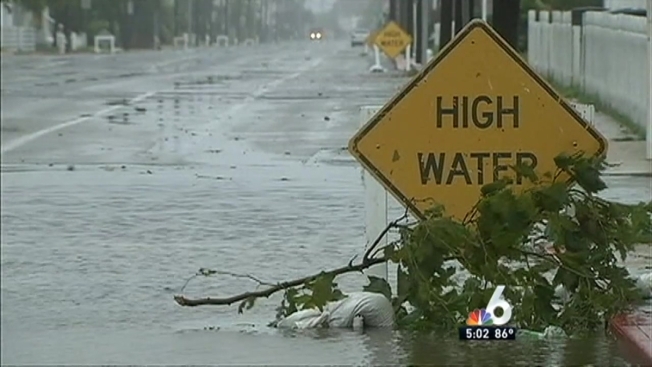 Tropical Storm Andrea made landfall on June 6 and produced floods and tornadoes. Remnants of Tropical Storm Karen crossed northern Florida on Oct. 6. Read the full NOAA outlook here.